The Wright family story parallels many threads and movements in American history. 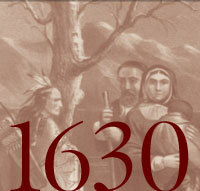 The Wrights took part in the initial European settlement of North America, the fight for independence from Great Britain, and the expansion of the young United States on the western frontier. Wilbur and Orville’s parents and grandparents were active in the major social reform movements of the 19th century: the abolition of slavery, temperance, and women’s rights.